What kind of fish do we catch? Depending on the season we can catch striped bass, fluke, bluefish, porgies, weakfish, sea bass, and/or blackfish. What should I bring for the trip? Appropriate clothing - best to dress in layers as it is usually cooler on the water. It may be chilly in the morning and then warm up. Bring a hat, sunglasses, sunscreen, waterproof shoes are best (bare feet can be dangerous). Food and Drink - beer and wine are permitted in moderation. We have plenty of cold water on the boat. A cooler with ice to bring home your catch - leave the cooler in your car for after the trip. We will gladly prepare and bag your catch for your eating enjoyment and provide cooking suggestions. Please do not bring any illegal drugs, hard liquor, firearms, fireworks, or bananas on the boat . What is included on the trip? All rods, bait, and fishing tackle are provided for you. Cleaning, filleting , and bagging of your catch. Instructions on proper use of the fishing gear and techniques. Should I tip after the end of the trip? Gratuities are never expected but greatly appreciated. If Capt, Mark did a good job, made the trip enjoyable and you had a good time you might consider rewarding those efforts. 15%-20% is standard. 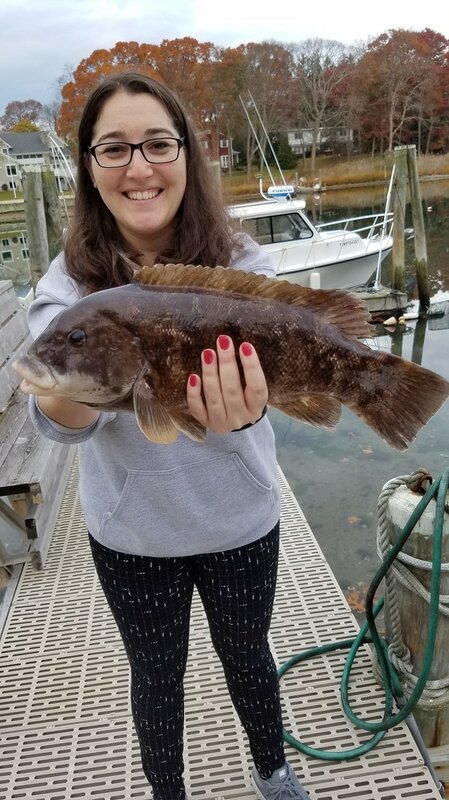 Click on any book a trip link, go to the contact page of this site, call (631)204-8150, or email us at fishnorthfork@gmail.com. Instructions for booking will be provided. A $125 deposit is required to hold the date. If you must make changes to your reservation or cancel please allow 1 week notice to avoid loss of your deposit. Our goal is for your to have a great time on your adventure. Captain Mark continually monitors the weather and if there are concerns you can contact him the evening before the trip at (631)204-8150 to discuss. If the Captain feels the weather will prevent you from having a safe and successful trip he will make every effort to provide you an alternative date or else refund your deposit. Your safety and enjoyment are our utmost priority. One thing that separates us from other charters is that we won’t take you out if we feel the weather or sea conditions will have a negative impact on your enjoyment and we offer the option of rescheduling or a full refund of your deposit. Capt. Mark looks forward to planning your day on the water!